As the organiser of the Shivaji Competition, I would like to thank all the artists that submitted a GIF to improve the future of islands and deltas in the face of rising seas. In the next couple of weeks, the entries will be evaluated and all the finalists posted online at multiple sites including GIPHY.com, Facebook, Tumblr and Twitter. After the selection of the artist to attend the Rising Waters Confab, a press release will be distributed internationally. Click here for excellent video about the destruction of the Marshall Islands and the forced migration of islanders. They are moving to Arkansas. Oyster reefs are the foundation of healthy bays and estuaries around the world. For thousands of years, reefs have provided food and habitat for birds and marine life. They buffer our coasts from waves and improve water quality and clarity by filtering impurities from the water. Reefs support the growth of essential coastal vegetation like marshes and seagrass beds. During the last century, intense oyster harvesting, pollution, disease and degraded habitat have combined to make oyster reefs the most severely impacted marine habitat on Earth. Globally, 85 percent of oyster reefs have been lost. Without oyster reefs, our coastal ecosystems breakdown – marine life declines, shorelines erode, and marshes and sea grasses disappear. The Nature Conservancy is working with more than 100 public and private partners throughout the United States to restore oyster reefs. Using innovative techniques that encourage the natural growth of oysters, scientists are restoring the balance of our coasts and finding long-term solutions to issues like erosion and sea-level rise. The project ‘Bobbing Forrest’ is a concept of artist Jorge Bakker, who is known for his sculptures and installations with an architectural impact. 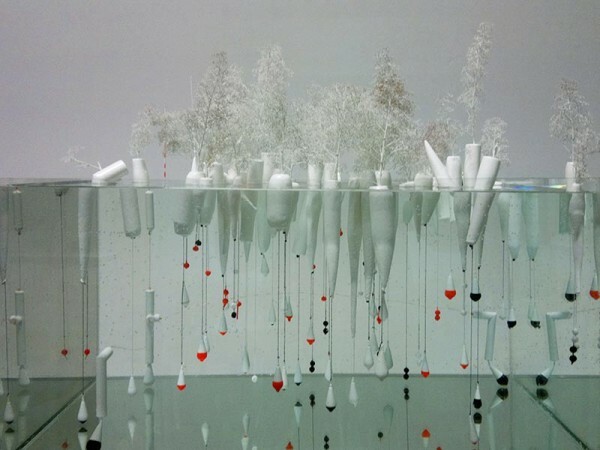 ‘In Search Of Habit’ consists of an aquarium filled with floats in which model trees grow. 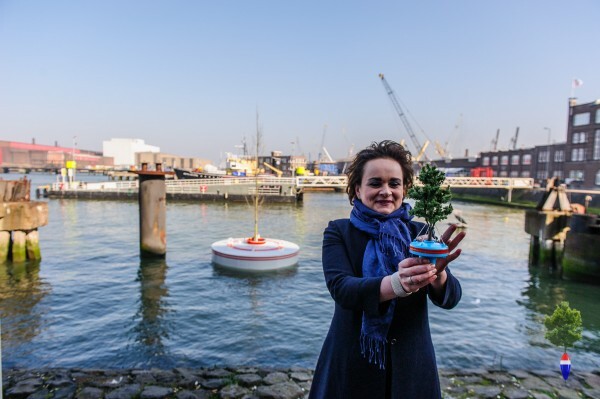 These miniature trees floating on the water raise questions about the relationship between the city dweller and nature. What does a city dweller have with nature and how humans and nature relate to the world around them? Jeroen Everaert, Anne van der Zwaag (art historian and cultural entrepreneur) and Jurgen Bey (director Sandberg Institute and Dutch designer) found the concept so appealing that they decided to make an attempt to implement the concept in real life. 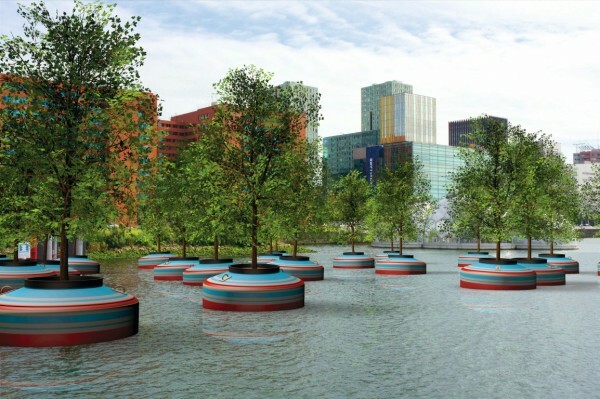 After a long time of experimentation and testing, in the spring of 2016 the ‘Bobbing Forrest’ will enter the water with twenty trees. 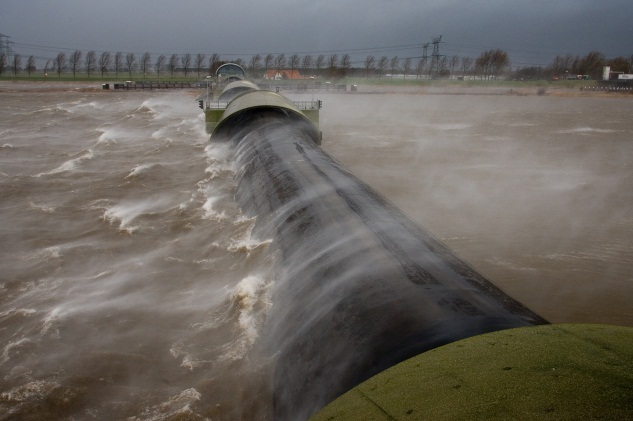 The Rijnhaven will never be the same. While societal and political acceptance of the reality of anthropogenic climate change is widespread, at least in developed countries, the urgency and scale of the challenges that recent science indicates it may represent are far less recognised. With the probability that global mean temperature rise can be kept below the internationally recognised 2°C target continuing to diminish, and growing evidence of limits to adaptation, citizens as well as economic and political decision makers need to engage with knowledge about the likelihood and implications of severe future impacts, and the scale of mitigation required to avoid them, the likes of which few want to hear. A further unwelcome message is that scientific uncertainty may in many cases remain, and continue to prevent accurate predictions about impacts from being made. Communication based on ‘information-deficit’ or ‘linear-rational’ models has failed to motivate either citizens, the business community or political decision makers sufficiently. 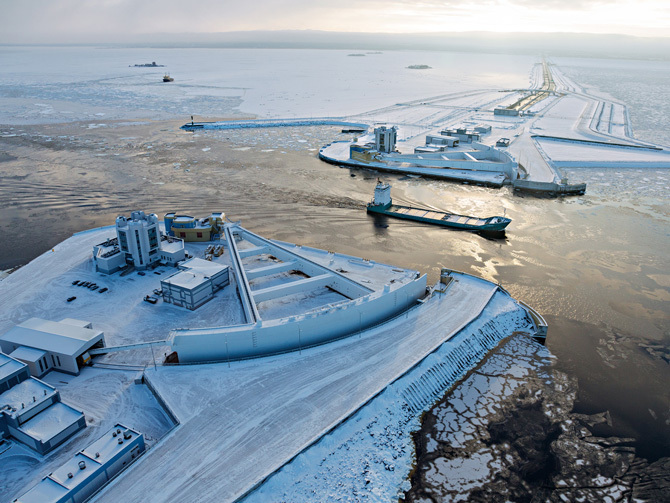 Better engagement of policymakers, planners, business leaders and wider society with climate scientists and other experts, to evaluate evidence and move towards more adaptive responses, requires new approaches to communication. The EU-funded HELIX project brought together around 30 individuals from a range of disciplinary and organisational backgrounds for a workshop to discuss how unwelcome messages related to ‘high-end’ scenarios can most effectively be communicated and engaged with. Overall, it was agreed that care is needed to emphasise the full extent of climate risks, not always captured in current scientific communication. Instead of highlighting a range of impacts, the seriousness of which is uncertain, it is more effective to say: ‘There is an awful possible future and we can’t rule it out’. Participants suggested that the specific circumstances in which particular audiences find themselves need to be the starting point of communication efforts. 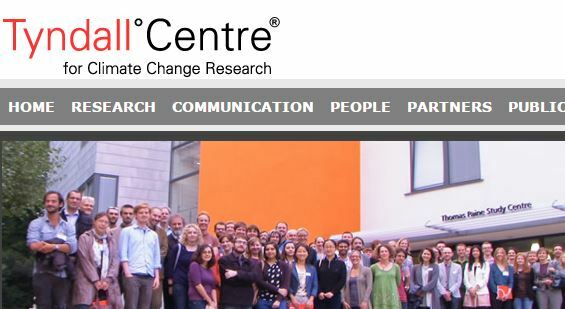 Honest assessments of the prospects of high-end climate change should be offered, but unless emotional and psychological implications are acknowledged and handled sensitively, and the complexity of dealing with the thousands of decisions that might be affected by such change simplified, confronting audiences with the prospect of a 4°C world is more likely to provoke rejection, fatalism and disengagement than adaptive responses. Communicators must be more than ‘narrators of doom’, but recognise the need for ‘active hope’, constructed from realistic goals, imaginable paths, doable tasks and a meaningful role in addressing the problems at hand. New, more dialogical forms of communication, with various audiences in a range of venues are needed, in which new highend climate messages can be conveyed and processed with citizens and decision makers. Ideally, these processes should be facilitated by highly skilled individuals or teams. These currently less common forms of communication will require additional investment and training, a role that HELIX is also recognising and undertaking. Moving climate change communication into this new Dialogue-Emotions-Values in Context (DEVCO) mode is a major challenge, but the worse climate news gets, the more prominent and continuous attention will need to be to enable society effectively to address climate risks. If I were to say to you “Carnival” “Trinidad and Tobago” “Buccoo Reef” in quick succession…you would follow me — because this makes sense, right? But what if I throw in “climate change adaptation”?! Now you may be lost. It is ok; I’ll explain. With the increasing challenges that climate change is creating for our planet and the greenhouse gas emissions profiles for most of the countries worldwide, it seems clear that action has become a must; and with action comes innovation. If we don’t start tackling the impacts of climate change more creatively then we will not be able to overcome it. You know what they say: if you want to achieve different results you have to take different approaches. This is especially relevant for our Caribbean region, given its geographical location and features which makes it very vulnerable to the impacts of climate change. This is what we, at the Climate Change and Sustainability Division of the IDB, are trying to do: take novel and innovative approaches to climate change adaptation. 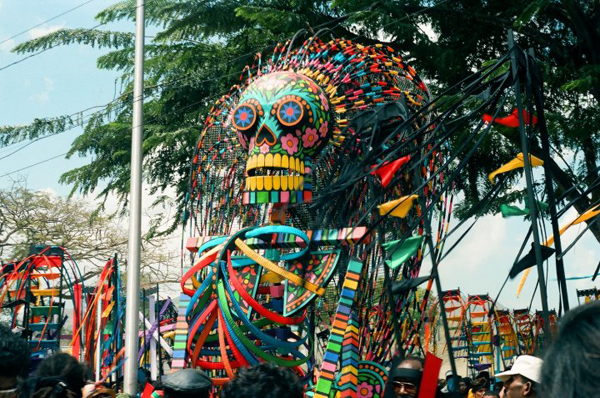 In collaboration with world-renowned Trinidadian artist Peter Minshall and The Cropper Foundation, a Trinidad and Tobago based NGO focusing on sustainable development policy and practice, the Bank is designing a program on “Piloting an Innovative Approach to Climate Change Adaptation in Tobago”. 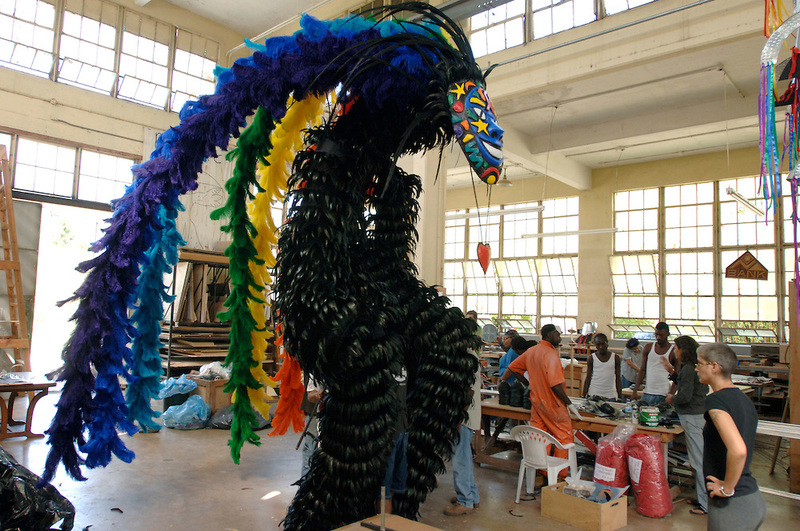 This program will utilize a Trinidad and Tobago Carnival inspired underwater sculpture installation designed by Mr. Minshall as an alternative attraction to the highly stressed and degraded Buccoo Reef, allowing it to naturally recover by shifting some of the visitors that would normally visit the reef to now go visit the sculpture park. 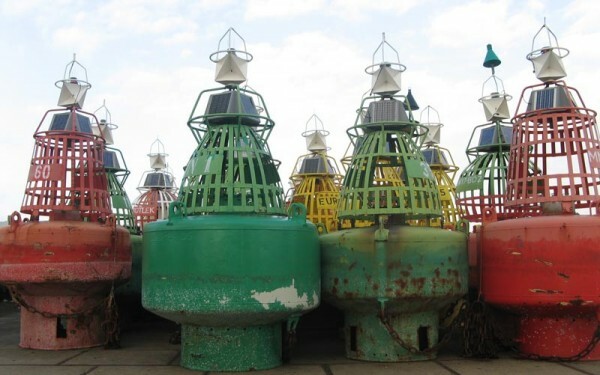 The underwater sculptures will be combined with a water pollution study that will inform the design of interventions to limit the land-based pollution already affecting the reef. A trust fund will be established to collect income generated by the sculpture park and by the creative industries around it, in order to further finance adaptation interventions in Buccoo Reef as well as for the maintenance of the attraction itself, ensuring the continuation of this initiative. They provide an income to many families who depend on coastal tourism and/or fisheries as their livelihood. 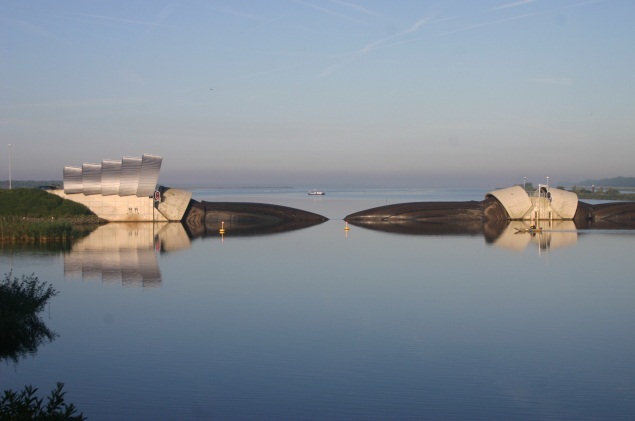 They provide protection for coastal assets and ecosystems acting as buffers against waves, storms and floods. They represent an invaluable benefit for places such as Tobago but they are at risk and it is of utmost importance to do what is in our hands to preserve them. Engl. 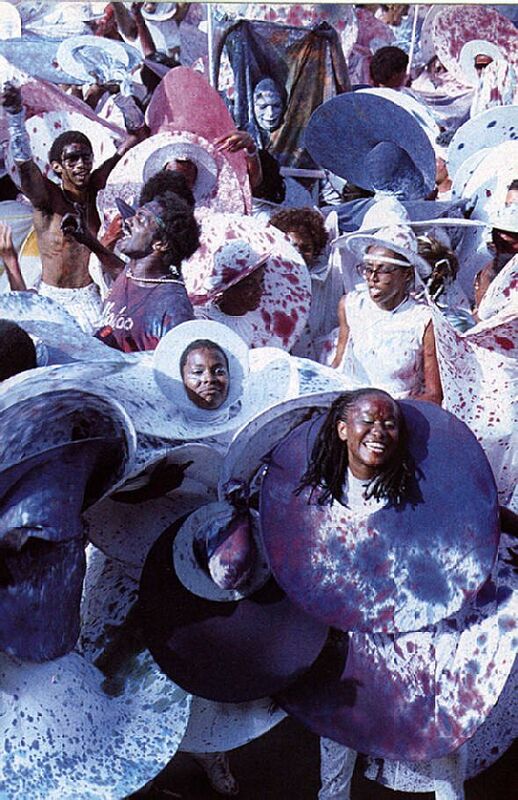 : Trinidad and Tobago, Carnival 2006, caribbean, costumes, parades, street festival, make up, glitter, at mas designer Peter Minshall and his Callaloo Company’s facility in Chaguaramas, where Minshall’s band ‘Sacret Heart’ is produced. The helmets are made from galvanized metal. Mas Camp. ‘Son of Saga Boy’. 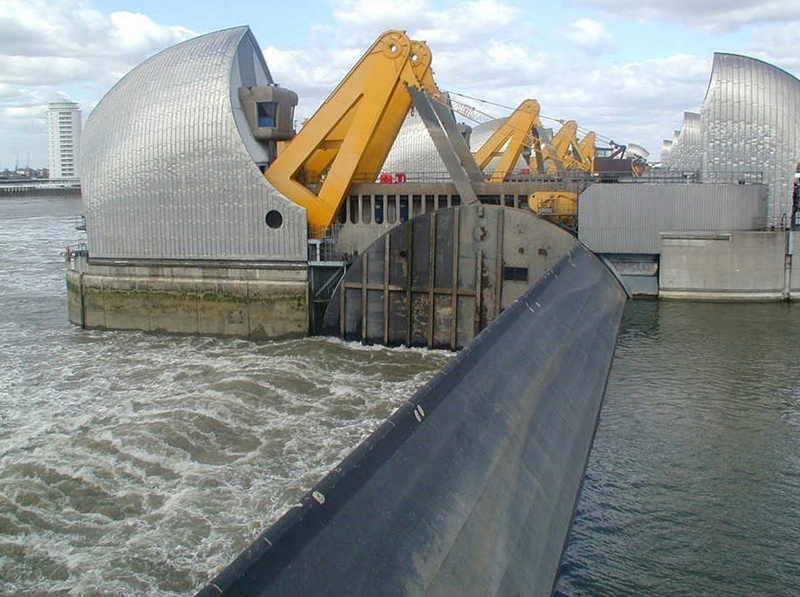 The countries with money have been constructing storm surge and tidal barriers. Examples from The Netherlands, UK, Russia and Italy. 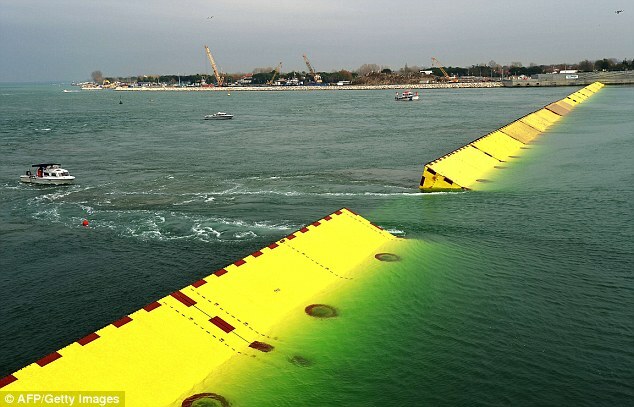 Venice tidal barrier raised and lowered by pumping air or water into the chamber. Above, like volunteer fire brigades, the Netherlands have volunteer flood teams help their communities in the event of breaks in the dikes. Below the Royal National Lifeboat Institute volunteers. Below is the 2009 memorial to RNLI volunteers that lost their lives attempting to save people drowning in the UK, Ireland and elsewhere. Artist: Sam Holland. Location: Dorset, UK. “Everybody wants to live here, I think, most of the time,” said Linda Higgins. We found Higgins pulling the Christmas lights off trees in her mom’s front yard in Ocean Beach. The cottage sits on a thin strip of barrier island — just over a quarter-mile wide, bay to ocean. But Superstorm Sandy sent three feet of surf surging through the living room here, and tides in the back bay keep rising. “I’m sure it is probably inevitable. The water levels are rising everywhere,” said Karen Pitzner. “The future for living here, I don’t think, is, it’s not going to be, some day. The water level’s going to come up and that’s going to be the end of the barrier island, you know. I can see somewhere, but it won’t be in my lifetime,” Higgins said. Actually, it might. Interactive risk zone maps show a four-foot rise in ocean levels would overrun much of Ocean Beach. It’s not a matter of if, but when, says University of Miami Professor Hal Wanless. “Sea level will be rising at a foot per decade — and that’s unbelievable, when you think about it,” he said. Critics call Wanless “Dr. Doom” because his climate change projections push the high end of the scientific scale: two feet by 2048, three feet by 2065 — 6.6 feet by the end of the century. New Jersey barrier islands would be under water. “It would inundate it. It’ll simply inundate it. By the time we’re at three, four, five feet we’re not going to be able to maintain beaches. And that’s going to be within 50 years,” Wanless said. After Sandy, New Jersey rushed to rebuild. The storm punched a hole through Mantoloking — washed an entire house into the bay. Now the road’s repaired and the scar is a wide dune that defiantly confronts the ocean. Meanwhile, shore homeowners raised houses 10 feet and more above flood levels. Nervous towns like Toms River bulldozed mounds of sand along the beach this winter, afraid Hurricane Joaquin would damage their costly renovations. Between state and federal grants and loans, New Jersey was allocated more than $13 billion after Sandy to repair homes, businesses and infrastructure. “Once communities look at maintaining the infrastructure with each step of sea level rise, then you will start to look at the economics of doing that and it’ll start to become clear when it’s no longer economically feasible,” Wanless said. Wanless says living on these islands will become untenable long before they’re under water. Even the Army Corps of Engineers’ dune wall won’t stop the inevitable, when storms turn increasingly violent, routinely damaging roads, bridges, sewage systems and power grids. Who will buy a home with a 30-year mortgage? “It’s a tough decision to say, no you’re wasting your money. But when you think about it, and people, the hair goes up on the back of their necks when you say maybe we should be using part of the money to help people relocate. Well, yeah, maybe we should,” Wanless said. Cathy Bogdon just built a brand new, elevated house on a lagoon in Breezy Point. “If I go over to the beach now and say, ‘You can’t have your house here, because 50 years from now it’s going to be under water,’ they’d stick me in the waves out in the ocean. It’s difficult to get people excited about it,” said Toms River Mayor Tom Kelaher. Kelaher readily admits rising ocean levels will eventually swamp much of the town’s real estate — and the Jersey Shore. “Tourism is one of our biggest economic engines in New Jersey. People depend on the beaches, people’s homes are over there, their savings are in these beach area places. To say you can’t be there anymore would be absolutely devastating. So you’re going to have to do that incrementally. I don’t really have all the answers,” he said. This spring, Toms River will host several climate change experts to discuss steps they can take to deal with the impact of rising ocean levels. Imagine another six feet of ocean here. They say it is inevitable. International competition for ideas to save human habitation on islands and peninsulas doomed by a one meter rise in sea level in the 21st Century.